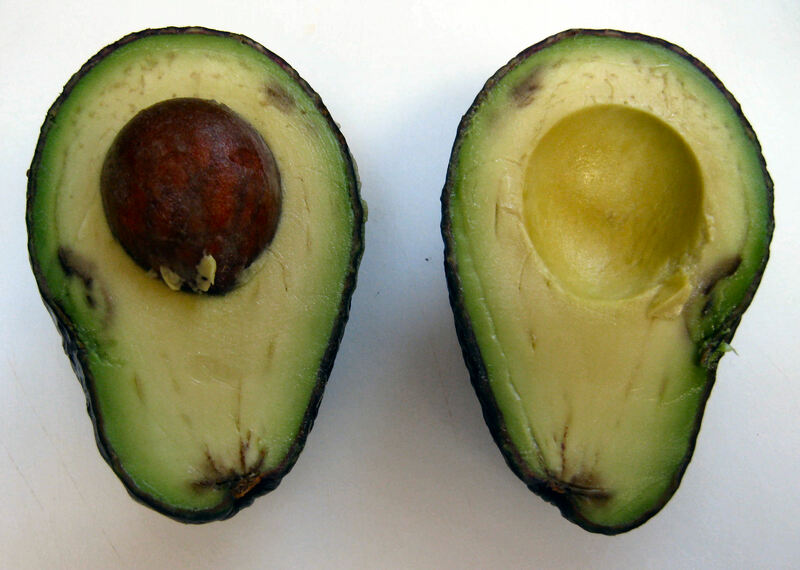 Start with a ripe, but not overripe, avocado. An avocado is ripe with it yields slightly when you press or squeeze it, and it’s overripe when it feels completely mushy. You can still use them, but they will be mushy, brown and even a little stringy. 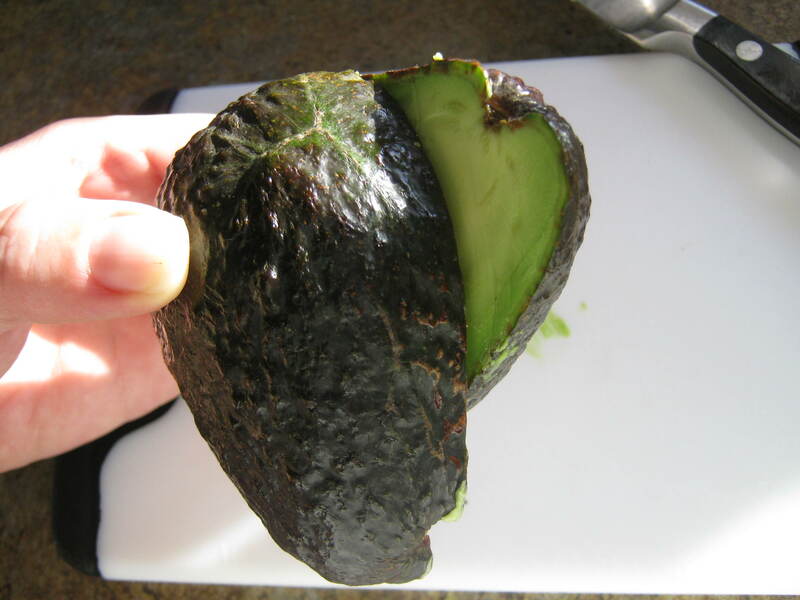 If the avocado is still pretty hard and needs to ripen, you can speed up the process by placing it in a paper bag and leaving it on the counter for a few days. 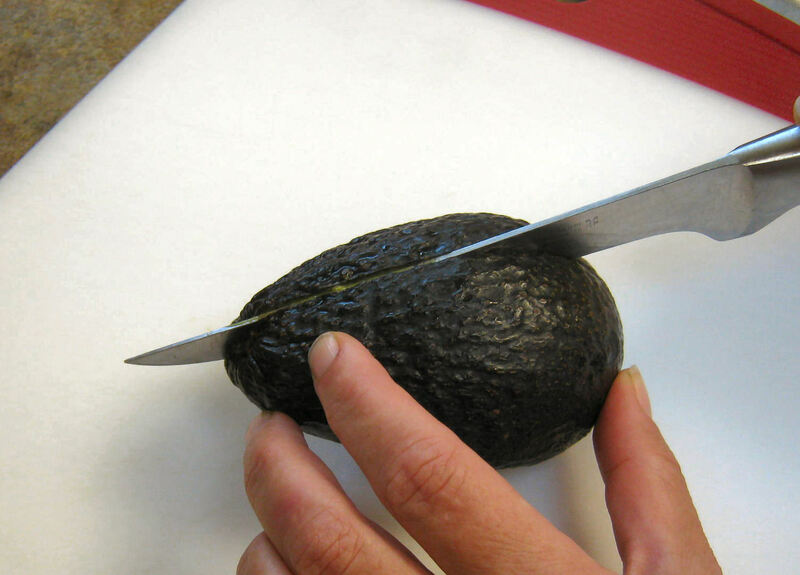 Start by slicing through the avocado all the way around, lengthwise. I do this by setting it upright on a cutting board, and cutting down until I hit the pit. 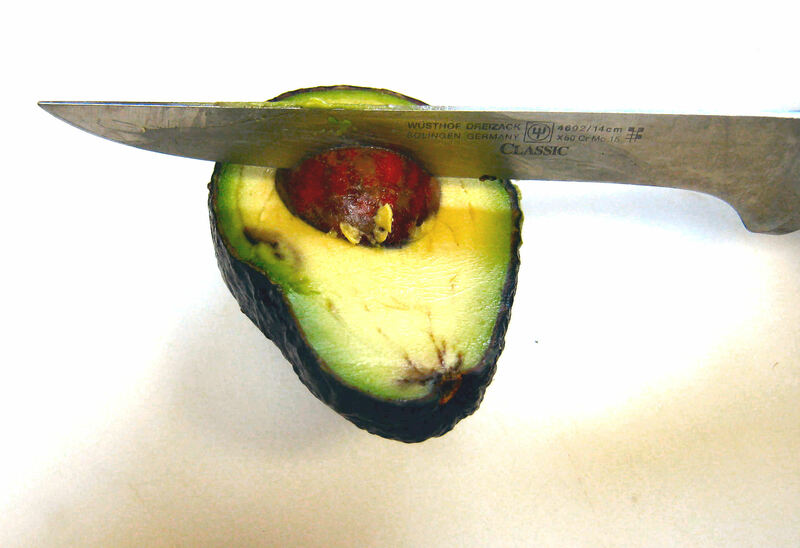 Then, with the knife still in it, slowly roll the avocado, keeping the knife up against the pit inside. 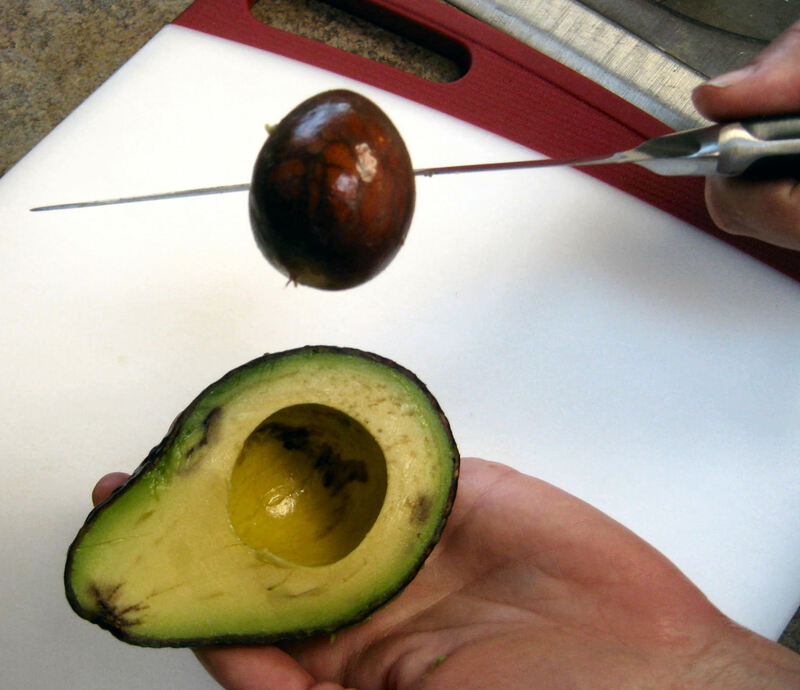 Keep rotating/rolling the avocado until you reach the top again. When you’ve cut completely around it, twist the two halves about 90 degrees. Gently pull the halves apart. One half will contain the pit. Place the half with the pit on a hard surface, take a sharp knife, get all fingers out of the way, and in one quick motion, flick the blade of the knife into the pit. Don’t go too slow, or the knife can either miss the pit entirely and slip off, or it just won’t stick in the pit. You want it in there pretty deep. 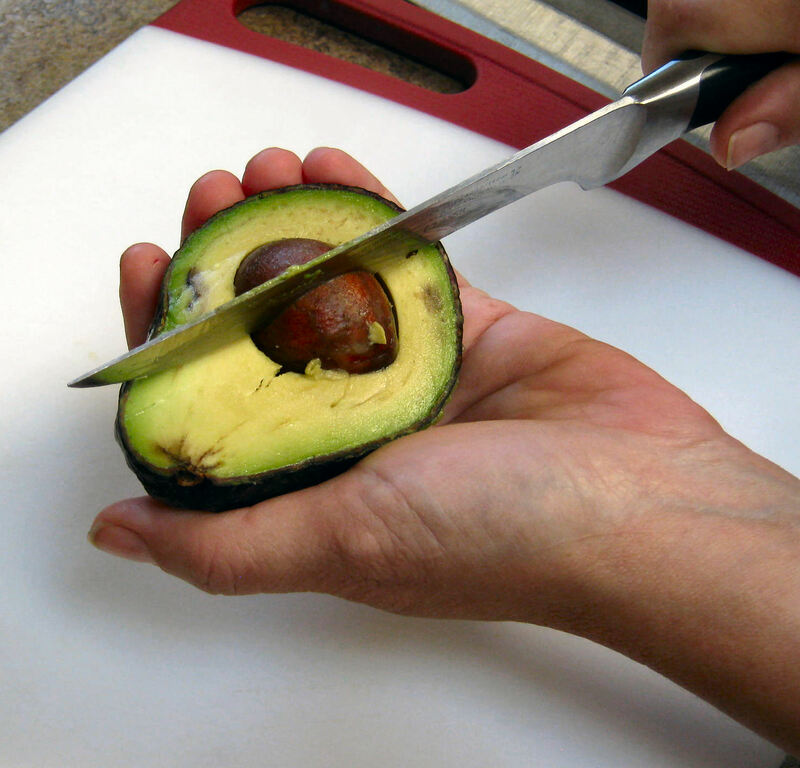 Pick up the avocado, with the knife still securely lodged in the pit, and hold it in the palm of your hand. With the other hand, gently rotate the knife to loosen the pit. Remove the knife, and the pit will stay attached to the knife. 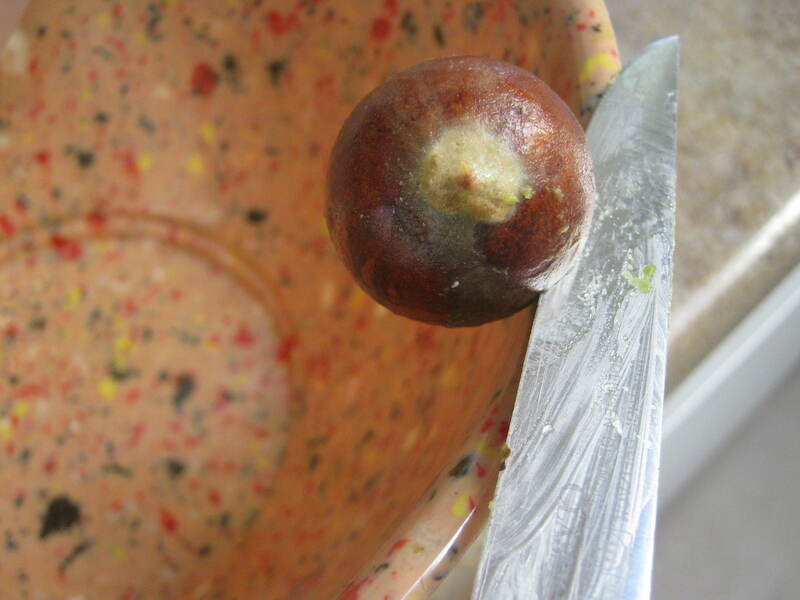 Scrape/nudge the pit against the edge of a waste bowl (or your trash container) to get it to fall off the knife. Don’t try to pull the pit off the knife, as it’s round and slippery and hard to get a good grip on it. 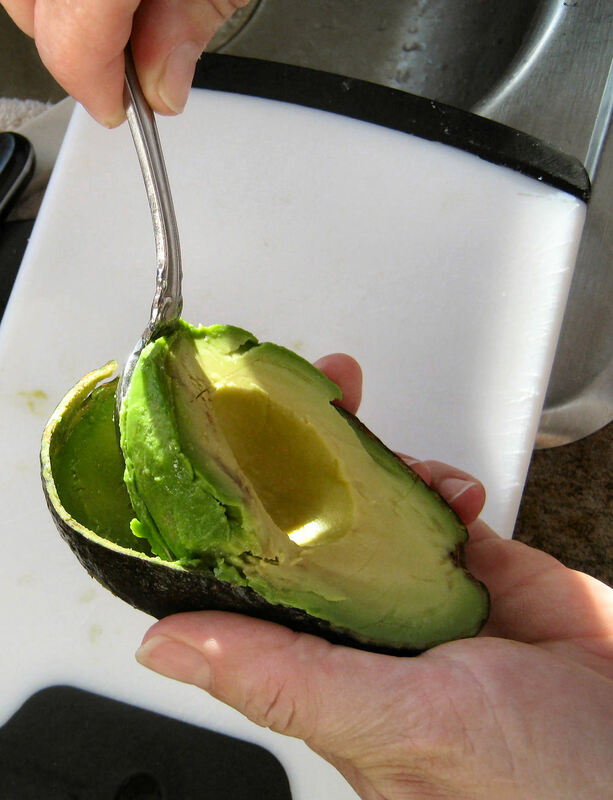 Gently insert a spoon into the back of the avocado and ease the green pulp away from the peel. The riper (softer) the avocado, the easier this will be. 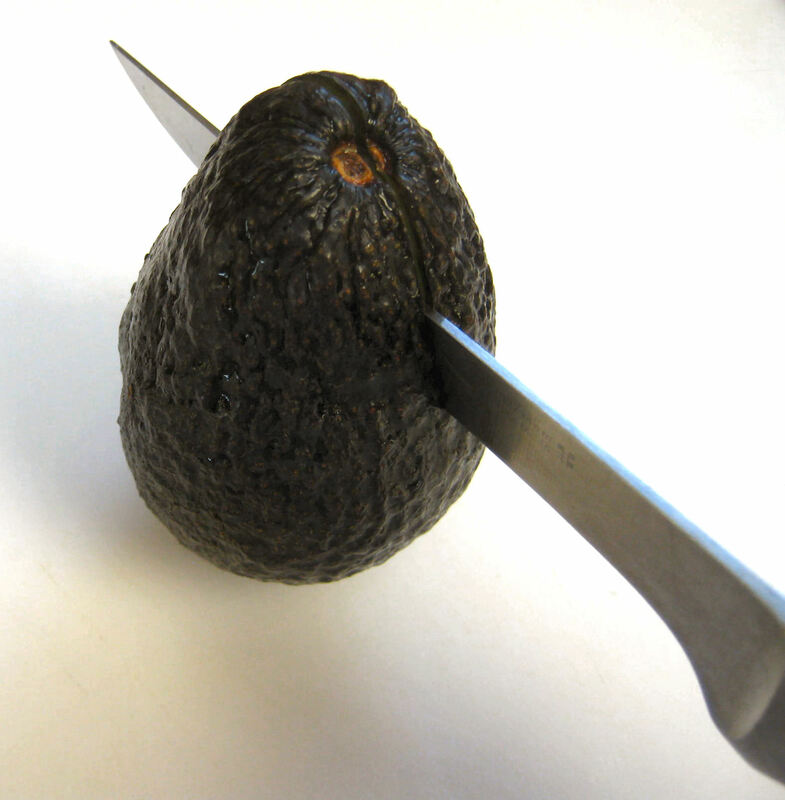 Just be careful not to puncture the avocado skin with the spoon. 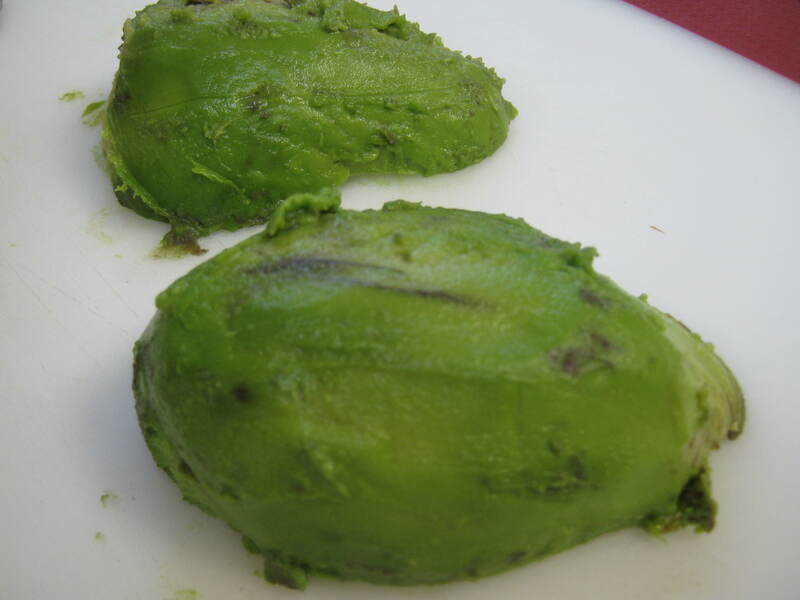 Now you have two peeled, intact avocado halves!